Following the pay-per-view UFC 236 fight card produced last weekend in Atlanta, the Ultimate Fighting Championship returns to Russia with UFC Fight Night 149 held this coming Sunday April 21 (AEDT). MMA event on ESPN+ takes place at Yubileyny Sports Palace in Saint Petersburg featuring the 12-fight bill. A pair of heavyweights Alistair Overeem and Alexey Oleynik battle it out in the headliner of the show. 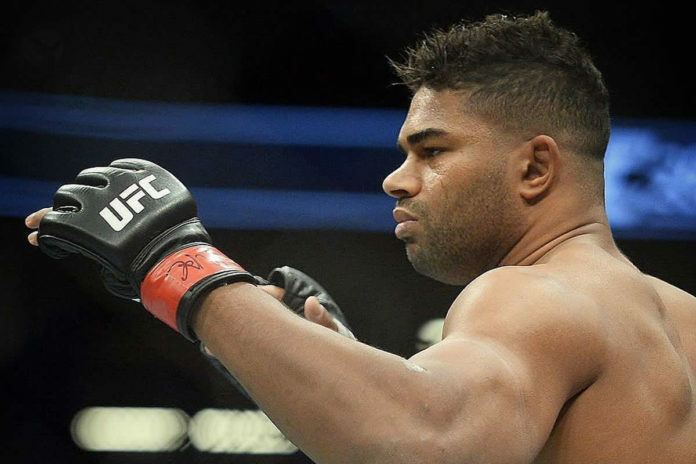 In his previous bout last November Overeem (44–17, 1 NC) stopped Sergey Pavlovich in the first round with punches. Before that he himself suffered a pair of stoppages from Curtis Blaydes and Francis Ngannou in Round 3 and 1, respectively. Oleynik (57-11-1) hasn’t fought since last September when he submitted Mark Hunt in the first round at UFC Moscow, which marked the promotion’s debut in Russia. Before that he defeated Junior Albini also by submission in Round 1. Lightweights Islam Makhachev and Arman Tsarukyan square off in the co-main event. Also on the main card another heavyweight battle between Sergei Pavlovich and Marcelo Golm, as well as a light heavyweight matchup between Ivan Shtyrkov and Devin Clark. I addition, Roxanne Modafferi meets Antonina Shevchenko at women’s flyweight. Krzysztof Jotko and Alen Amedovski face off in the middleweight bout which kicks off the main card. The complete lineup for UFC Fight Night 149 can be found below.